In this tutorial, I will show you step-by-step how to install and configure Wekan Trello-like Kanban on a CentOS 7 server. We will be using the MongoDB as a database and the Nginx web server as a reverse Proxy for the Wekan application. This tutorial will cover some topics in detail including securing the MongoDB database server and configuring Nginx as a Reverse Proxy. Wekan is a nodejs-based application, and it requires the nodejs version 4.8. In this tutorial, we will not install nodejs from the CentOS repository, rather we will install nodejs 4.8 using the nvm Node Version Manager. Before installing nodejs, add new system user 'wekan' using the command below. Login to the 'wekan' user, then download and run the nvm installer script. 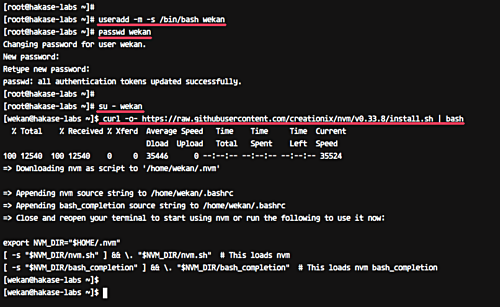 The command will install nvm under 'wekan' user and add new configuration to the '.bashrc' configuration file. Now reload the '.bashrc' file. Test using the nvm command as below. Now you can see nvm '0.33.8' installed on the system. 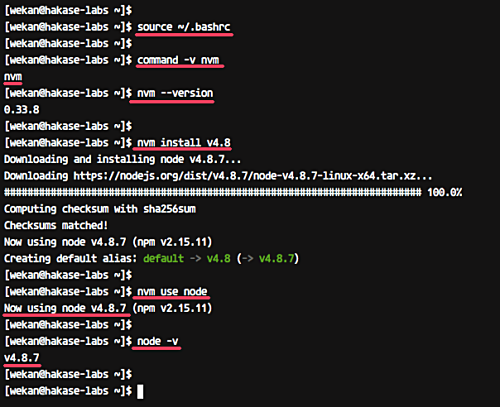 Next, install nodejs 4.8 using the nvm command below. After the installation is complete, check the node version. 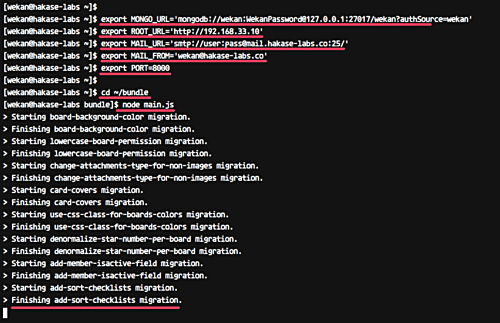 And you will see the nodejs 4.8 is installed on the CentOS 7 server, under the 'wekan' user. In this step, we will install MongoDB 3.2.x using the official repository, and then configure the basic security for MongoDB NoSQL database server. Go to the '/etc/yum.repos.d./ directory and create a new .repo file using the vim editor. Paste the following MongoDB repository there. Now install MongoDB using the yum command below. After the installation is complete, start the MongoDB service and enable it to launch at system boot. MongoDB 3.2 has been installed on the CentOS 7 system. Next, we need to configure the MongoDB authentication. Login to the mongo shell and create a new user named 'admin' for the superuser access. Login to the mongo shell. 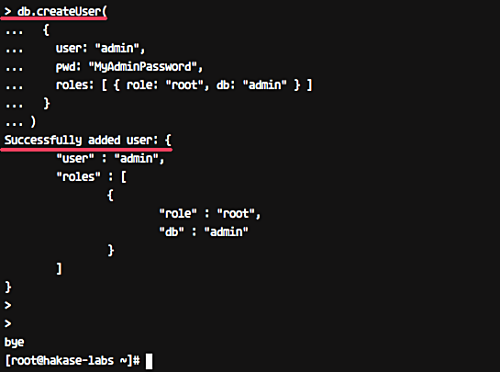 Now create new 'admin' user with password 'MyAdminPassword' with role as 'root'. Run the MongoDB queries below. The MongoDB admin user has been created. Now we need to edit the configuration file '/etc/mongod.conf' to enable the authentication. Edit the configuration file 'mongod.conf' using vim. Uncomment the 'security' line and add the configuration as shown below. Now restart the MongoDB service. The MongoDB authentication has been enabled. Next, we need to create a new database and user for Wekan. We will create a new database named 'wekan' with user 'wekan' and password 'WekanPassword'. Login to the mongo shell as the admin user. Type the admin password 'MyAdminPassword'. And when you get the mongo shell, run the MongoDB queries below. The database and user for wekan installation have been created. Login as the wekan user. Download wekan source code using the wget command and extract it. 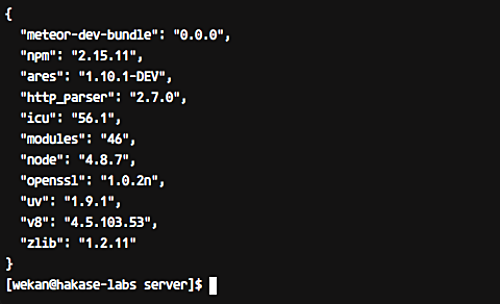 And you will get a new directory named 'bundle' - go to that directory and install the wekan dependencies using the npm command as shown below. After all dependencies installation is complete, you will get the result as below. Next, we will try to run Wekan on the system. Run the following commands to set up the environment variable for the Wekan application. Now go to the 'bundle' directory and run the wekan application. Wekan server is now running under port 8000. Open your web browser and type your server address with port 8000. And you will get the Wekan login page as below. Wekan is now successfully installed on the CentOS 7 server. We will be running the wekan application as a service on Ubuntu system. So we need to create new service file under the systemd system directory. Before creating the wekan service file, we need to create the environment variable file. Go to the 'bundle/' directory and create new environment variable file '.env' using vim. Next, come back to your root terminal. 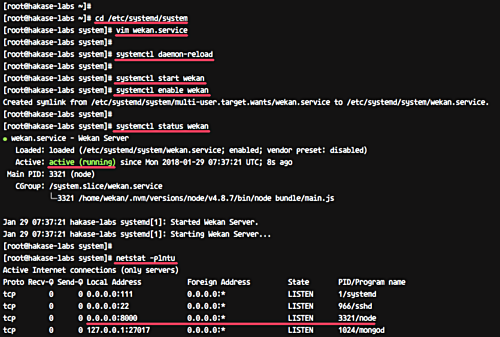 Go to the '/etc/systemd/system' directory and create new service file 'wekan.service'. Reload the systemd system using the systemctl command. Start the wekan service and enable it launch everytime at system boot. Now check the wekan service using commands below. And following is the result in our case. Wekan is now running as a service under port 8000 on a CentOS 7 system. In this step, we will install Nginx web server and configure it as a reverse proxy for the wekan service that's running under port 8000. Before installing the Nginx web server, add new EPEL (Extra Package for Enterprise Linux) repository. 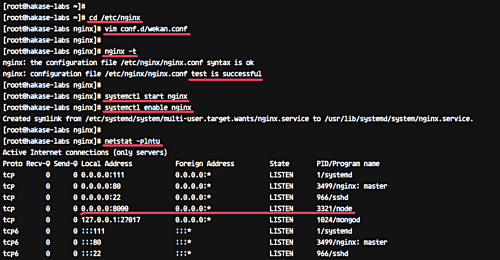 Now install nginx from the epel repository using the yum command below. After the installation is complete, go to the '/etc/nginx/' configuration directory and create new virtual host file 'wekan.conf' under the 'conf.d' directory. Paste the following virtual host configuration there. If there is no error, start the Nginx service and enable it to launch at system boot. Now check the HTTP port using the netstat command, and make sure it is on the 'LISTEN' state. The Nginx virtual host configuration for Wekan has been completed. 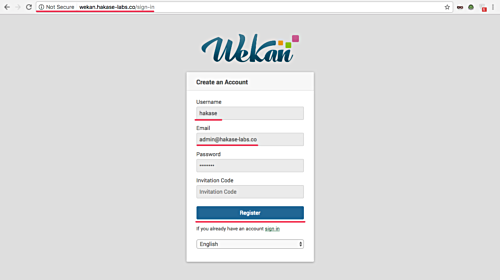 Open your web browser and type the wekan url installation in the address bar. And you will be redirected to the login page - click on the 'Register' link. Now type your username, email, password, and leave Invitation Code blank. Click the blue 'Register' button. And you will get the 'Internal Server Error' message. Leave it and come back to your terminal. Because we will activate the first user from the terminal. 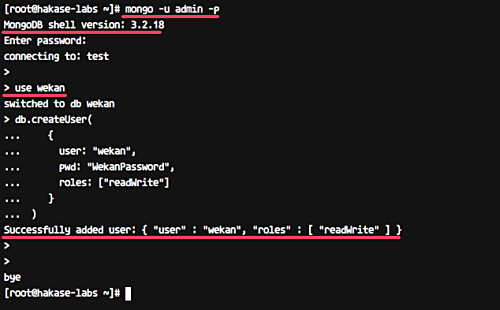 Open your terminal and log in to the mongo shell as a 'wekan' user. mongo -u wekan -p --authenticationDatabase "wekan"
Now activate the user using queries below. Exit from the mongo shell. Back to your browser and open again the Wekan url installation. Type your username and password, then click the 'Sign In' button. And you will get the Wekan user dashboard. Below is the wekan sample project. Wekan installation on CentOS 7 system with MongoDB and Nginx web server has been completed successfully. Great tutorial, everything work !